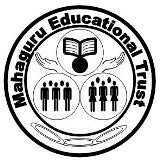 Mahaguru Educational Trust took birth. To perpetuate the tradition of our great teacher to nurture the needy young talent. Our single source of inspiration is our high-school teacher Sri C.S. Sridhar, who dedicated his entire life to the elevation of his students. Single-handedly he transformed the quality of more than 500 individuals and their families by helping them financially as well as intellectually and morally.